&Beyond used to be called the CC Africa and before that, the Conservation Corporation. In that guise, they were amongst the very first pioneers of Africa’s great tourism success story, marrying restoration of derelict land, the conservation of wildlife and a strong community involvement with the highest standards of wildly upmarket luxury tourism. It is a model that has been copied across the continent. Phinda wasn’t the first (that was Londolozi) but it is my personal favourite amongst their South African properties, covering 23,000 ha (56,800 acres) of northern KwaZulu-Natal, not far from the World Heritage Site of Isimangaliso/Greater St Lucia Wetland Park. The park is more than big enough to support a thriving population of wildlife including all the Big Five and 415 species of bird. 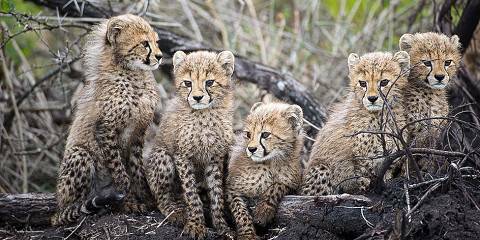 With expert rangers eager to please, you have an excellent chance of finding rarer species such as cheetah, leopard and black rhino. And if you would like to, you can spend a day learning to be a tracker, go canoeing on the Mzinene River, or head down to the coast to go scuba diving on the reef, one of the only parks in South Africa where this is possible. There are six lodges on the property from dizzily precarious Mountain Lodge to the Rock Lodge, where I stayed, strung out along the cliff edge with panoramic views. But my favourite by a long way was the ethereal Forest Lodge, with its stilted glass cabins scattered like Chinese lanterns through the trees in the sand forest. I’ve been lucky enough to stay in many extraordinarily luxurious safari lodges over the years including a number of &Beyond properties in several countries across Africa. What has always impressed about them is that their staff are particularly nice. There seems to be a corporate culture which breeds confident pride and great service and it makes for a wonderful experience. Long may it continue. KwaZulu-Natal’s answer to Sabi Sands, this exclusive 230 sq km private reserve offers world-class Big Five (lion, leopard, elephant, rhino and buffalo) viewing on guided game drives in open 4x4s, based out of a handful of stylish small lodges that represent the ultimate in safari chic. Guided game drives in open 4x4s Phinda seldom disappoints when it comes to the Big Five, and while leopard sightings are somewhat erratic, it is one of a handful of African reserves where the endangered black rhino can be tracked down with reasonable ease. It also offers perhaps the finest cheetah viewing I’ve had anywhere, and all wildlife is very habituated. Guiding standards are also very high. Although it is the Big Five that attracts most first-time safarigoers, the reserve protects an interesting diversity of more localised habitats, notably is a tract of rare sand forest, where the secretive suni antelope and red duiker can be seen alongside localised birds such as Neergard’s sunbird and pink-throated twinspot. If you’ve already ticked off the Big Five, at least once, then the mere fact that Phinda harbours elephants, leopards, lions, buffalo and rhino may not be enough to attract you. But there’s a world of difference between seeing these magnificent animals in the drier regions further north and seeing them in Phinda’s lush surroundings. This famous private reserve reserve encompasses a supremely rich variety of habitats including vivid subtropical woodlands, grasslands, mountains and wetlands, and it lies close to the Indian Ocean coast, making it every bit as interesting to the tree and plant enthusiast in me as to the wildlife enthusiast. Another feature which, to me, makes Phinda stand out is the fact that it’s a great place to see cheetahs and rare antelopes such as nyalas and red duikers. It’s also a tremendous bonus that it’s owned and managed by &Beyond, a company that is wholeheartedly committed to sustainable tourism and community responsibility. Its lodges, though pricey and, in the case of Rock Lodge, a little eccentric (its “hacienda-style” rooms remind me a bit of children’s sandcastles), are comfortable and sympathetic to the environment, and there’s a host of activities on offer. KwaZulu-Natal’s top spot for game viewing is without a doubt Phinda Private Game Reserve. For a relatively small park it harbours a huge diversity of wildlife and sightings are virtually guaranteed. 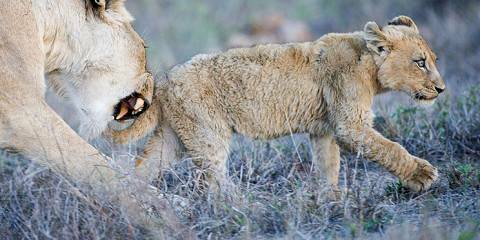 It’s also one of the best places to see Africa’s big cats. Lion and leopard are plentiful and thanks to the careful reintroduction of cheetah into the area after 50 years of absence, you can now watch these magnificent cats play and hunt in the wild. During my last trip I had an incredible up-close night encounter with a leopard and the next day spied a cheetah hiding with her cubs in the long grass. What an amazing experience! But it’s not just the cats that make Phinda so special. Herds of elephants, buffalo, giraffe, wildebeest, giraffe and zebra roam the reserve along with thousands of antelope, black and white rhinos and hippos. Phinda is easily the best private game reserve in KwaZulu-Natal. It is the Zululand equivalent of some of the better Sabi Sands reserves. 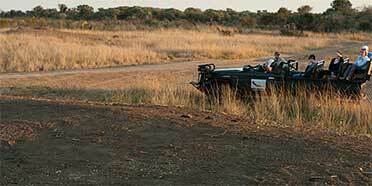 Game drives are centered on finding the big five. True to its reputation of being the best place for cheetah, I’ve had some of my best sightings here of these graceful big cats. The lodge and food is of the best standard, as can be expected from ‘& Beyond’. The quality of guiding is excellent as well. The very beautiful nyala is the common antelope here as it is throughout the parks in KwaZulu Natal. The red duiker, which can be found in coastal forest in this province, is easily seen around the chalets of Phinda Forest Lodge. The exclusive 23,000 hectare Phinda Private Game Reserve in KwaZulu-Natal is the setting for one of South Africa’s finest wildlife-viewing experiences. What the reserve lacks in terms of true wilderness appeal is more than compensated for by its reliable and diverse wildlife sightings and quality nature-guiding experience. 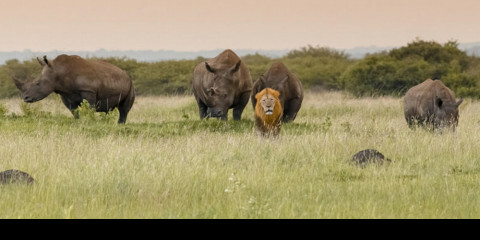 Home to all of the Big Five (as well as the endangered black rhino and cheetah), quality wildlife viewing is all but guaranteed at Phinda, while the professional &Beyond guides enhance the interpretive safari experience with their vast bush knowledge and enthusiasm for the natural environment. Comprising woodland, grassland, wetland and forest, interspersed with mountain ranges, river courses, marshes and pans, Phinda is a small but scenically diverse wildlife sanctuary and birding hot spot (415 bird species have been recorded to date) that offers a genuinely luxurious bush escape to safari goers looking to notch up some quality wildlife encounters without having to sacrifice on any of their creature comforts.